It’s hard to deny that I am a devoted Jeep enthusiast. 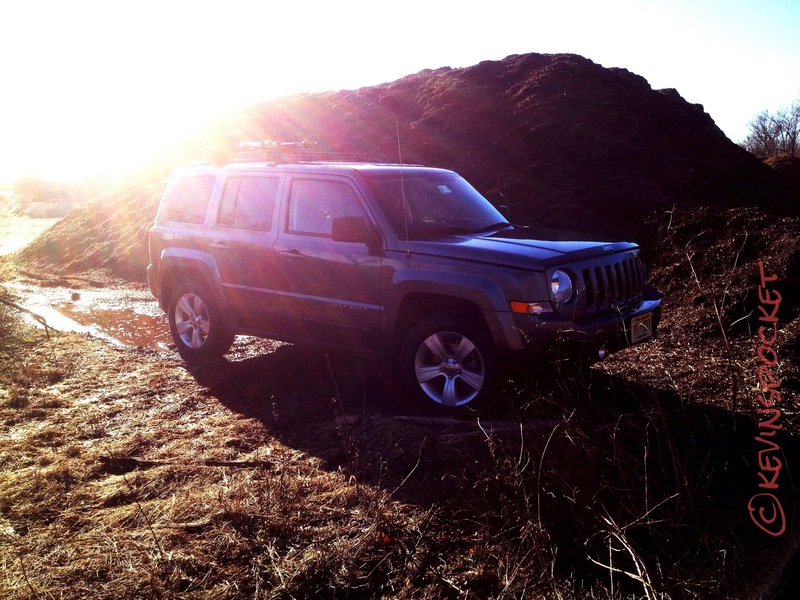 I drove my 1997 Wrangler every day for almost 5 years before purchasing a 2012 Jeep Patriot (4X4, 5 speed) in February of 2012, to take over daily driving duties. Overall I’ve been pretty satisfied with the Patriot; it’s a comfortable, capable, daily driver. It’s performed well in winter weather, and light off road situations. Despite being the opposite of the “get new people interested in the brand” target buyer – it fits my needs perfectly. Now a year into ownership, I figured it was time for a recap. The first few weeks with the Patriot were great. It was nice to drive something a bit more comfortable, and more reliable, than the aging TJ. The first disappointment came a few weeks later, when I discovered that my salesman didn’t know much about the vehicle he sold me. When I test drove the Jeep I told them that I was hesitant because I really wanted the all weather package, and a sunroof. He informed me that the 5 speed manual was only available on the Sport Model, which did not have the option of a sunroof, and finding another 5 speed 4×4 with the all weather package would be nearly impossible. They offered to install a sunroof for an additional $1500. I declined. I found out later on, that the other models are available with the manual transmission, and the sunroof. I got over my sunroof fixation, and decided that I’ll just install the tow hooks myself, the main reason I wanted the all weather package; the manual transmission was more important. As I approached 3,000 miles I noticed a whining noise while at highway speeds. It was faint, and easily drowned out by the radio; so it may have been making this noise all along. My initial research prior to buying the Patriot hadn’t revealed any whining noise issues, but once I dialed in my searching; I found pages of forum threads from other 5 speed owners experiencing similar sounds. I monitored the noise a bit, and determined that the transmissin was the source. The noise was only present when the transmission was under load. (the sound only happened when the Jeep was in gear, and when the throttle was being applied.) It was most apparent in 5th gear, at 70mph. I made an appointment with the dealer to have the first oil change done, and have the noise diagnosed. I was given a complimentary oil change, and was told that everything was fine with the transmission. The service writer informed me that the whine was a normal characteristic of the 5 speed. A similar response that other forum members had received from their dealers when the noise was mentioned. I continued to drive the Jeep regularly since the service department assured me that all was fine. I tried to ignore it, hoping it would just go away on its own, but at 10,000 miles, the transmission still whined at highway speeds. I had mentioned it at every oil change, and was assured each time that everything was OK. The Jeep was nearing 12,000 miles when I started to notice a new noise. A whistling noise that changed pitch with engine speeds, that was also only audible while the transmission was under load. I made another appointment with the dealer, and again was told that all was fine. I started to get a bit aggravated, but didn’t feel that there was much else I could do. Three days later I was stopped at a traffic light when I noticed a loud rattling noise while in neutral. When applying the clutch pedal, the noise would slow down and stop, then start up again once I released the pedal. I called the dealer to set up another appointment. The service writer that I had been dealing with the whole time asked me to bring the Jeep in during the week, and leave it for one of his top techs to take a look at it. I informed him that I wanted to drive the vehicle with the tech, (so that they’d have to tell me to my face that they didn’t hear the noise, or that all was normal.) He didn’t object, and sensing my frustration, supported the idea. I left work early, and got to the dealer just before closing. The tech walked out to the Jeep, got into the passenger seat, put his seat belt on, and asked me to start it up. As I started to explain to him what was going on; he asked if we could take a ride so he could hear it for himself. I started the Jeep, took my foot off of the clutch, and the loud rattling made the tech’s jaw drop. He immediately unbuckled his seat belt, got out, and crawled under the Jeep. He had me put the clutch in, and release it a few times, then we took a quick test drive. We got back to the dealership and walked into the service area. He informed the service writer that he was pretty sure the throw out bearing was shot. I made an appointment to bring it back a few days later, as they needed to order the parts. They informed me that they would likely need it for a few days, to fully diagnose and repair the transmission. I received a message the following day informing me that they needed a few additional days with it; they had to order more parts. I called in for a status, and was told that after pulling the transmission, they found a few issues needing repair in addition to the throw out bearing. Since the cost of repairing the transmission was greater than 75% of the cost of a replacement transmission, they had ordered a new one, and would be replacing it under the warranty. Having a transmission replaced at 13,000 miles is not something that any new car buyer expects. But these things happen; that’s why they come with warranties after all. 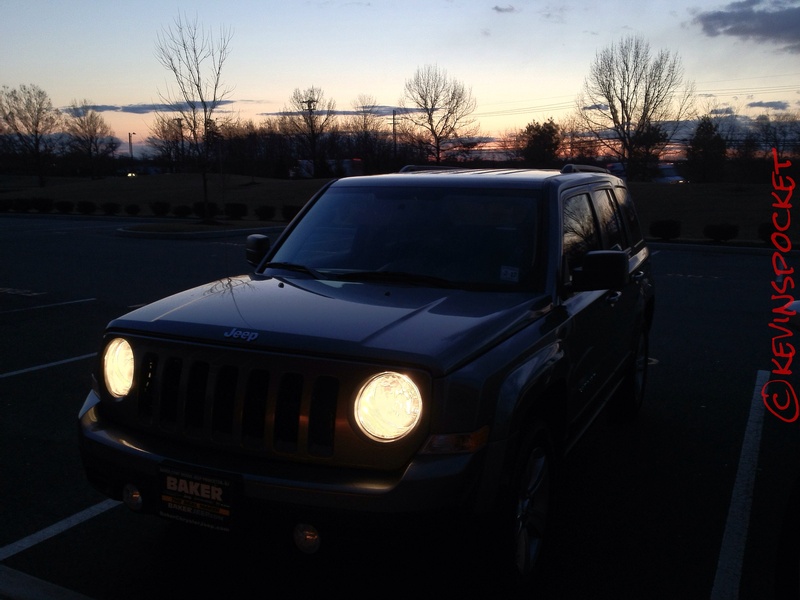 Despite my initial aggravation, my experience with Baker Jeep in Princeton, NJ was as good as I could have expected, and then some. The service writers and techs stayed late on several occasions to accommodate my work schedule, and once diagnosed, fixed the problem quickly. Now, as the Jeep creeps up on 20,000 miles, there have been no signs of any issues with the new transmission. Hopefully, it’ll last to my 250,000 mile goal for the vehicle. I have a lot of big plans for the little Jeep, and look forward to many more years enjoying it. Over the first 18,500 miles the Patriot has averaged 22 miles per gallon. My daily commute is mostly back road stop and go. My best tank to date was 28.5 MPG (about 75% highway driving, and 25% city.) The Jeep performed really well in the recent snow storms we’ve had in the northeast, and did well through the muddy path to the garden spot my fiance and I will be planting soon. Its good to know that we’ll be able to get the Jeep back there to load tools and supplies to our vegetable garden; hopefully it will carry us to at least a few camping trips this summer too. Any other 5 speed Patriot owners out there with transmission issues? I want to hear about them in the comments? 11,000 miles. They have replaced the transmission 3 times. The noise is still there. Has anyone made it through the process of a buy back? I purchased a 2015 patriot 4×4 5 speed. I had the same exact issue with the transmission at about 15k miles. The transmission was replaced and I haven’t had a problem since. Now $49k miles and going strong. I also had the same problem with my 2013 Jeep Patriot at 17000 miles. Clicking noise and kept thinking I was in 3rd gear when in 4th. Clutch sticky and maybe my imagination but fan motor for air was low. They said not but after they did the transmission work air and clutch were working much better. That was 4 weeks ago. I took a short highway road trip this weekend and shifting gears is sticky again and I am checking to see what gear I am in because it sounds like I am in third when in fourth. I have two 2014 Jeep Patriots with 20K to 23k miles. Both have 5-speeds. One developed at whine in the transmission at 20K miles. It now has 23K miles. The whine occurs with slight pressure on the accelerator and it also occurs when coasting in gear. This is much like the noise produced by differential in a truck. Gear lube is full and is clean. The dealer says the transmission will need to be pulled and opened up for diagnosis. The dealer’s immediate decision to pull and open the tyranny makes me think that the dealer has seen this problem before (in spite of the fact that this dealer sells very few cars with manual transmissions). They don’t normally stock any cars with manual transmissions and they had to bring mine in from another dealer. yeah it seems to be hit or miss with the 5 speed – I’ve talked to a lot of folks that have over 100K on the transmission with zero problems. 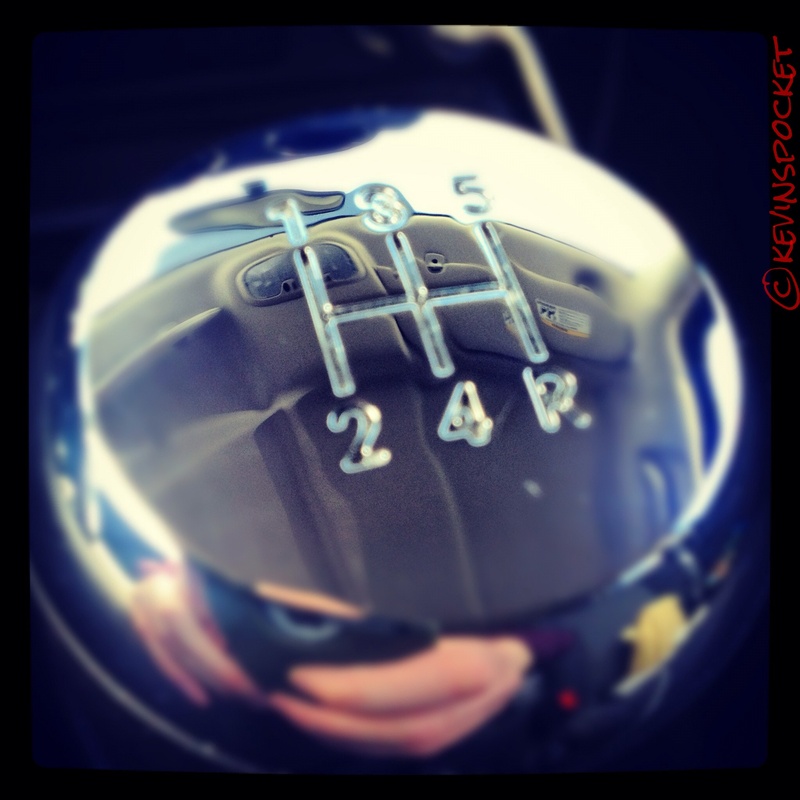 I’ve had a few other stick shifts in the past, so I’m not a rookie. I am waiting for my transmission to fall apart… It’s hard to shift from 1st to 2nd especially. It’s like it doesn’t really want to go into 2nd, so I’m always babying it and I’m always scared I’m going to miss the gear (it’s happened quite a few times now…compared to like, NEVER in every other stick car I’ve driven) It’s also a crap shoot going into reverse, although I’ve found that shifting into 1st before R helps (never had to do that in previous cars either). I ALSO don’t really like the clutch feel on this car (I suppose that’s personal though)…it’s a murky gray zone between popping the clutch and wearing on it. Bottom line: unfortunately I don’t find this a very fun car to drive with these issues. I am so loving my Jeep. When I purchased it, it brought back my college days in the good ole’ Cherokee. It just recently began making the similar noises that are mentioned in your original post and in other’s replies. I am taking it in tomorrow and hope that it is covered under the 3 year 36,000 mile warranty. I have a 2013 Patriot that has had a throwout bearing replaced at 18000 miles, and now at 64000 I have a serious grinding in the transmission, heard and felt …felt through the shifter…with that high whine noise during all acceleration in all gears. I was surprised that the dealer had to replace that first bearing…and equally surprised when that shop told me they had seen five or so of the same issue…small dealer, that is a high percentage for any issue that isn’t called out as a recall. Now, with lots of highway driving I have an even louder noise and lots of knocking and grinding coming through the stick shift. We will see what it turns out to be, but I expect it is a repeat of the first issue…and a reason of concern for all Patriot owners and potential buyers. 2012 Jeep Patriot sport 5spd. Had the main transmission bearings replaced under warranty at 14k miles. I now have 44k miles and its doing the same thing again. I hope they replace the whole transmission this time. My 2012 Patriot Sport 2.0 5 speed had a loud whine through all the gears and made a thrashing noise in neutral with the clutch released. I had it to the dealer twice, the second time it was so loud I had the tech ride with me. He heard it before we left the parking lot. At 28000 miles they had to pull the transmission and replace the input shaft bearings and a synchro. It has been 3000 miles and the transmission seems ok. The other day it just died on me, had it towed to the dealer and it ended up having a bad throttle body! At 31000 miles I am losing confidence in my car. It is a shame, I average over 31 mpg and is an affordable vehicle. 2014 Patriot – same problem. About 19k miles, 80% highway. I was told it is throw out bearing and it is under warranty (unfortunately rental car is NOT under warranty). Just waiting for the part(s) to come in. But at this point it is so bad that my shifter rattles and I have to push it hard to the right when in 5th because it literally feels like it will rattle right out of gear. Yikes! Really sorry to hear that – the throw out bearing was the main issue with mine as well. Hopefully they can get it fixed for you quickly! a jiggling sound when clutch is out (up) in neutral and sound goes totally away with clutch depressed. The dealer, Crystal Jeep in Brooksville FL says “noise is normal”. Will go to other transmission repair shop and get a written estimate for repair sound with clutch. 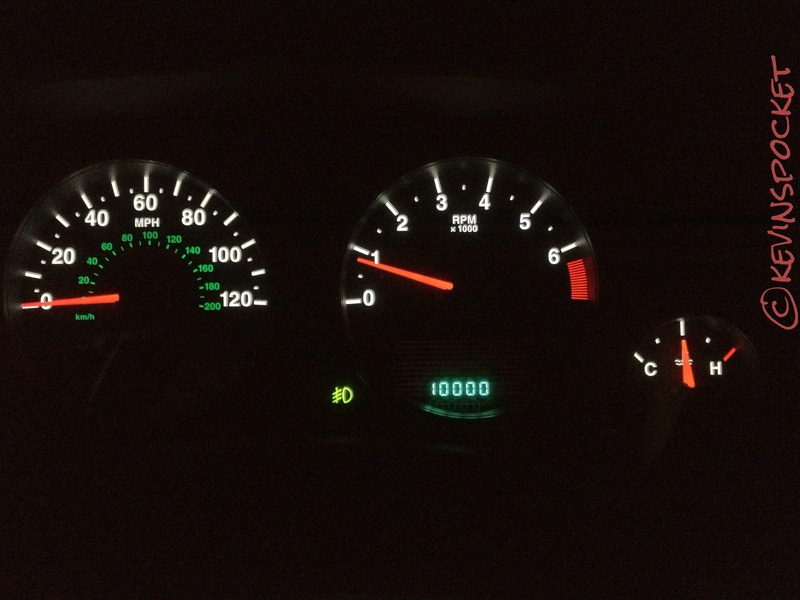 This is just how good the 100,000 mile warranty from Chrysler / Jeep is. Good we have a lemon law in the state of Florida, because ….. I would press the dealer to take a closer look at the trans, especially the throw out bearing. 2009 Patriot with 70K miles. Same symptom with the load and the whine, also had the growling in neutral. I took it in had it down to a minimum being the input shaft bearing of the 5 speed transmission. Tech drove it, and felt he needed to tear it down to further diagnose it. Long story short he also found some of the spider gears worn a lot internally of the T355 Trans. I agreed to pay for a clutch kit when they went to put a new trans. in which was covered under warranty. I paid for the parts only of the clutch kit, while they had it apart it only made sense to have the clutch kit done. Also while the trans was being removed the maniverter (exhaust manifold pre cat),which has to be removed to get the trans out was found to be cracked (another common Patriot problem), replacement covered under the emissions warranty. Glad to hear things worked out for you – and thank you for the heads up on the maniverter! I wasn’t aware of that issue. I have a 2014 Patriot, just diagnosed with the same issue, a bad throw out bearing. It started to make some engine noise a couple hundred miles ago and then on Saturday, clutch engagement caused the noise to go away. Bad news, I’m at 13,000 some miles, and the warranty for the clutch ends at 12,000 miles. Good news, I think Chrysler MAY cover it; however, they still need to tear down the transmission to get in there and look and if they see damage to other components, they will blame me and I will pay the $1600 plus tax. Yeah right, I’ve been driving stick for over 20 years and all of a sudden I’m riding the clutch and destroying my vehicle! Very frustrating!! Seems like either some cheap vehicle parts or a few defective ones…No clutch should need to be replaced at 13,000 miles! I’m really sorry to hear that… Mine went at about the same mileage and it was covered under the bumper to bumper warranty. I would fight with the dealer and contact Chrysler’s Top Care team if the dealer won’t budge. It’s a known issue and should be covered. I just hit 30,000 miles on my 2012 and, knock on wood, have not had any additional issues. Should have bought the CVT. I have CVT on my 2012 Patriot 2.4L. No problems. 75,000 miles on my 2009 Dodge Caliber 2.0L with CVT. No problems. 75,000 miles on my 2009 Patriot 2.0L with CVT. No problems. still whines and clunks. 12k miles. no new noises yet. I took it to another dealer which said the whining is normal. mine actually whines at all speeds and gears up to about 60 then gets quiet till 70 then quiet at 72 or so………again, they said it’s normal for this jeep to make this noise and chysler corporate says they can’t do anything as both dealers said it’s normal. have you driven the vehicle with one of the service techs in the Jeep with you? that was what it took for them to finally start listening to me. Corporate really can’t do anything until a dealer agrees that there is a problem since the dealers are their eyes and ears. I’m up to 26,000 miles and haven’t had any additional issues. Hope they can fix your friends issue. Sorry to hear that Bill – have you driven the Jeep with a dealer tech in the vehicle with you? yes. they said its all normal.